Liquid Web Review 2019 – Is It Reliable? Would like to build a professional website without knowing which web host you should trust? To develop a great website and run a business successfully, a reliable web host is necessary. The problem is how do you identify a reliable web host? You also need to pick the web host that offers best value for your project. We would like to do those tough jobs for you and help you save time in selecting the right service on the market. Is Liquid Web reliable? Is it affordable? What kinds of products it provides? What protections you will get from this web host. Find your answer in this Liquid Web review. Liquid Web is one of the leading web hosts with high reputation on the market. A vast number of developers trust and choose it to power their websites, e-stores and applications. It delivers service to customers in 130+ countries and has 500,000+ sites under management. This web host owns 500+ hosting professionals on-site and five global data centers to ensure the best possible performance. It offers a wide range of products including Dedicated Servers, Cloud VPS Hosting, Cloud Dedicated, Cloud Sites, Managed WordPress, Managed WooCommerce Hosting and custom hosting solutions etc. Liquid Web manages and protects your hosting service dependently. They own their own datacenters and no third party gets involved. You can have secure infrastructure. This service gives you freedom to add more flexibility to your cloud infrastructure. You can scale your business any time you want. Liquid Web supports Block Storage to offer unprecedented versatility and scalability to any project. It promises 100% network uptime and 100% power uptime. Liquid Web provides customers amazing experience when creating or developing their websites. It is a reliable web host, offering powerful hosting service. If your website has huge number of visitors and the business grows bigger, you need more resources to power your website. Dedicated server hosting is the solution you should consider. A dedicated server gives you exclusive access to its resources and freedom to flourish business. Without sharing resources with other customers, your website will have the highest level of performance and can handle peak traffic smoothly. Your clients will be satisfied with the high uptime. Liquid Web offers single processor and dual processor dedicated servers with 24×7 Proactive Sonar Monitoring™ and ServerSecure hardening. You can expect excellent Windows Dedicated Servers and Linux Dedicated Servers from this web host. Based on your need, you can choose self managed, core managed or fully managed plans. The full-featured Liquid Web dedicated server solution will help you create and develop a professional website instantly. Many customers prefer Cloud VPS as it can store multiple sites, email, DNS, databases and users. Liquid Web offers managed VPS in the combination of a dedicated server and the flexibility of cloud hosting. You can enjoy the powerful resources as well as flexibility of hosting services. CloudFlare CDN™ is included in the cloud VPS package. It will speed up your website and boost solid security by providing you the full management of popular CDNs. Every server of Liquid Web has ServerSecure™ to provide mighty security protection. It blocks any malicious access and keeps your data secure. Every customer can use the local site backups to store copy of data for instant data recovery in case of server failure. You also can enjoy basic mitigation to small volumetric DDoS attacks for free when using the cloud VPS service. Liquid Web Cloud VPS service lets you manage resources, features, tools and other aspects through control panel with few clicks. With the SSH/SFTP and Root access, you are able to configure libraries, modules and other services. Clients who need root access to a dedicated server at affordable price can consider Liquid Web Cloud VPS hosting solution. It starts at $59.00 USD per month. If your business needs more resources and feature-rich cloud environment, Cloud Dedicated Servers should be your option. Liquid Web provides outstanding Cloud Dedicated server solution. It offers greater flexibility than a standard dedicated server. Essential hosting services including Load Balancers, block storage, VPN, object storage, CDN, firewall, integrated backups and premium business email etc. come with Cloud Dedicated server package. Your website or application will have standard DDoS protection and 100% Network & Power Uptime SLAs. Backed by this helpful hosting service, your website will grow steadily. Liquid Web offers popular managed WordPress hosting service. It does not charge for pageview counts or overage fees. Unlike other web host, it gives customers full access to both the database and the server. This web host utilizes advanced technologies like PHP7, SSL and Nginx to improve WordPress speed. You can edit, publish, change and update blog quickly. It offers image optimization plugin and other smart tools to improve page-speed. The visitors to your websites can load page fast. 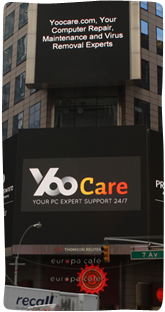 Their engineers monitor website uptime/downtime to ensure best possible performance. It lets you track & view Google Analytics Data and check the SEO status of posts so as to gain high ranking on search engines. In this way, your websites or products can be found by visitors easily. They do daily backups and store data offsite for 30 days, and you will be able to download or restore data with few clicks. They also take care of WordPress update to ensure you have the latest protection and advanced resources all the time. Besides, it has staging site which allows you to test your site prior. It is worth to use Liquid Web managed WordPress products. Liquid Web builds an optimized and high-performance platform for eCommerce stores. They develop a set of tables to store order data to help you reduce query loads and increase your capacity without extra fee. Abandoned cart technology for WooCommerce is included in hosting package. That enables you to take instant measures to capture lost revenue effectively. Many web hosts on the market do not allow performance test because that will have bad influence on the rest of the sites on their shared platform. However, this web host has created more than 20 performance tests. Simply enjoy the high traffic. Liquid Web offers free migration. If you need to transfer your store to their server, they will help you get job done quickly. To let you get started with their service smoothly, it provides 500 free and 1000+ eCommerce themes. Simply select the one you like to design freely. Its Beaver Builder gives you the flexibility to create landing and product pages. You can set up your product information and product catalogs in the way you like. Liquid Web’s managed WooCommerce hosting is a great option if you would like start your eCommerce stores successfully without less effort on your side. Data loss and unplanned downtime can cause vast loss for a business. Even the best service has downtime for certain reason. Therefore, it is very important to do backup regularly. In fact, it is not an easy job to do the backup of a big business. Luckily, Liquid Web offers powerful backup & recovery solutions including Guardian Off-Site Backups and Cloud Backups. If you use the Guardian backup, all your data is backed up to an off-site facility and encrypted on backup nodes for disaster recovery. You can manage the backups through Guardian cPanel Plugin. It provides all-round server and data protection in the combination of replication, synchronization, and point-in-time snapshots. To ensure high performance and minimize performance impacts, it uses sector-based backups that increase throughput and reduce overhead. You can choose account-level backups, backups on your schedule, full-server backups, automatic daily backups or on-demand backups. Liquid Web allows you to download backup or restore data with few clicks anytime you need. Potential threat can be anywhere on the Internet. To protect your websites and prevent loss, Liquid Web provides great firewall options. Their hardware firewall has their own OS and can block various attacks coming from outside. When the firewall works, any traffic will be processed by it before reaching your server. That means malicious Internet traffic will be stop and threat will be eliminated before they can access your server or do any damage to your performance. The firewall also can blocks Trojan horses, worms, spyware and other suspicious program that may harm your business. Likewise, Liquid Web provides well-designed VPN to help you improve the security of your entire infrastructure. It comes with Dedicated and Cloud Servers. In those days, VPN helps a lot in expanding business. When your business grows, you may suffer geo-restriction, data usage limit and other limited issues. Liquid Web VPN gives you security, reliability and scalability you need. You will be able to bypass packet inspection & port blocking and extends geographic connectivity to open global networking opportunities. Your connections and communication will be encrypted, so you can run your business without worrying about information leak. The VPN also filters malicious traffic in real-time. It’s an extra layer of protection to your business. No matter you operate a server to run a large enterprise, small business or e-commerce company, there is always a potential threat for your website. Especially DDoS attack can affect your business seriously. 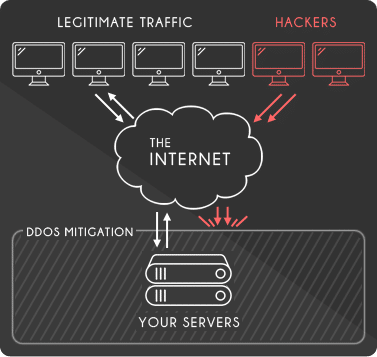 To meet different needs, Liquid Web provides optional levels of DDoS Attack Protection. Basic DDoS protection is included with every Liquid Web server, so you don’t need to add service or configure complicated setup to get protection. It also offers advanced mitigation services and enhanced protection to larger and sophisticated attacks. The web host’s team monitors network traffic in real time. They use analytics and Threat Detection System to effectively identify attacks before they can access your infrastructure. Once they detect malicious traffic, they scrub and separate it from other traffics. They develop special hardware to achieve this goal, so all legitimate traffic will proceed normally without effect. Data security is very important for business. Data breach can cause huge loss. Liquid Web offers solid data protection. A wide range of SSL Certificates types is available. You can choose the free, auto-renewing SSL solution or purchase a trusted SSL certificate from GlobalSign. If you need help, their technicians will help you set up an SSL Certificate based on your needs. Your website and online transactions will be encrypted by the latest technology. It protects your precious personal information and prevents third parties from collecting it. You can communicate with your clients, do transactions and conduct other important activities safely without worrying about data theft. The website security also contributes to website popularity. When your website is secure and good at protect customers’ data, you win high reputation and gain their trust. Install SSL certificate across multiple servers, safeguard your online transaction and prevent phishing attack with Liquid Web now. CND helps greatly minimizing the geographic distance between your websites’ server and the visitors to your websites. That will dramatically reduce the page load time and improve your customers’ experience. CloudFlare reduces file sizes and speeds up the page load time by caching and optimizing content on their network. Their network grows and goes across a large number of servers every day, so they are great option to assist your website handle traffic spikes. Liquid Web integrates CloudFlare with CND to offer the best possible solution. You will be able to minimize bandwidth usage, improve performance on all your websites, offer faster page load times for worldwide customers and improve SEO and conversion rate easily. Liquid Web lets you set up, manage, and monitor the service directly from your server dashboard. That makes developers’ life easier and lets them focus on their project. Liquid Web offers highly reliable and customizable Load Balancer to help customers create high performance and easily scalable websites. There are Managed Shared Load Balancers and Managed Dedicated Load Balancers for you to choose. Both of them are fully managed by their knowledgeable network engineers. They help you plan to implementation & administration and monitor the network in real time. The Load Balancer distributes your traffic to multiple servers to enable your website to handle the hottest media events, viral campaigns, and social networking trends without any problem. How does it work? 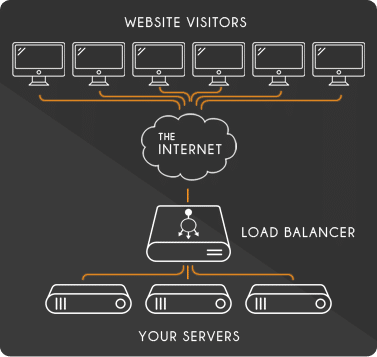 The visitors to your website are connected to their Load Balancers first, and the Load Balancer will connect the visitors to one of the web servers in your infrastructure with the help of the various traffic optimization algorithms. New web servers can be added to the pool of load balanced servers with the increasing traffics to your websites. Liquid Web Load Balancer provides you full redundancy with automatic failover and improves scalability. You will have advanced traffic scripting options and SSL Offloading for high performance to offer your visitors the best experience. Distribute your traffics among your servers with Liquid Web Load Balancer now. Liquid Web offers quick and responsive customer support. Their products come with solid features and powerful resources. To make developers’ life easier, they provide easy-to-use control panel. From the control panel, customers can manage resources and execute tasks conveniently by clicking few buttons. A large number of smart tools are included in hosting package. That makes it very easy to create and publish a professional-look website even though you are a beginner. Though it is an easy to use service, the web host provides considerable customer support to deliver instant assistance. No matter you need assistance in optimizing performance, monitoring your servers or mitigating risk, simply contact them and tell them your needs. The support team is 24/7 online. The provider promises that you won’t wait for more than 59 seconds when you contact via phone or live chat. When we contacted them for support during the service test, they resolved our problem within 20 minutes. The support team has done an effective job. Besides, their engineers are on-site at their data centers and monitor your server constantly to ensure high availability and keep your websites safe. You can expect satisfied customer support from Liquid Web. Liquid Web is an excellent, responsive and knowledgeable web host that delivers robust web hosting services. It does not offer shared web hosting does not offer shared web hosting. It provides dedicated servers with abundant resources and combines it with cloud service to offer more flexibility developers need. By providing multiple global data centers and supporting vast space, it enables customers to enjoy the incredibly fast experience. Liquid Web is pretty dependable and provides 100% uptime guarantee. It provides 24/7 online support. A squad of knowledgeable support agents is always available and ready to assist you to fix issue. They are helpful and patient. This service comes with 30-day money-back guarantee. If you are not satisfied with the service, you can demand a refund within 30 days after the subscription. Would like to create and maintain great online presences? You can get started with Liquid Web.